PVC Tents, Size: 12x24 Sq. Ft.
We are counted amongst the leading manufacturers, suppliers and exporters of excellent quality Demo Tents. The offered range of Demo Tents is designed and developed by our expert professionals using superior-grade raw material in compliance with the international quality standards & norms. 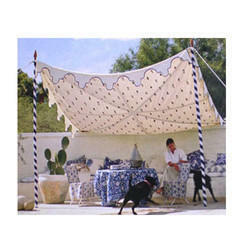 Our offered range of Demo Tents is highly appreciated among the clients elegant designs. 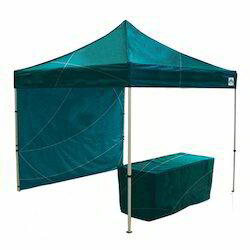 Our promotional display tents deliver peak performance by serving for promotional purposes and road shows. The tent is made supreme quality raw material. Usage: For Providing Shade at Large Outdoor Areas. We are the dynamic, business-oriented organization, ranking among the utmost entities in providing a wide assortment of Pergola Fabricators. We are supplier of Business Tent.